Richard Simmons was shown me at far too young an age in Slim Goodbody and have never forgiven my science teachers for it. That said, I hear his workouts were awesome, both as entertainment and as exercise. Remember, everyone, at least 30 minutes a day four to five times a week (and really, if you think about it, an hour long workout is 1/24 of your day, or .0416%… so you’ll be fine). I just want you to stay healthy and lovely, friends! 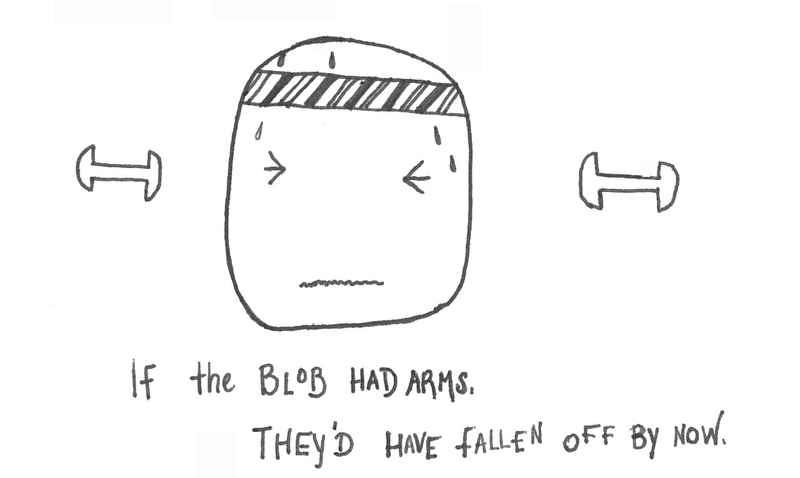 This entry was tagged Blob (comics), exercise, Perspectives, Physical exercise, Richard Simmon, sweating, Weight loss. Bookmark the permalink.